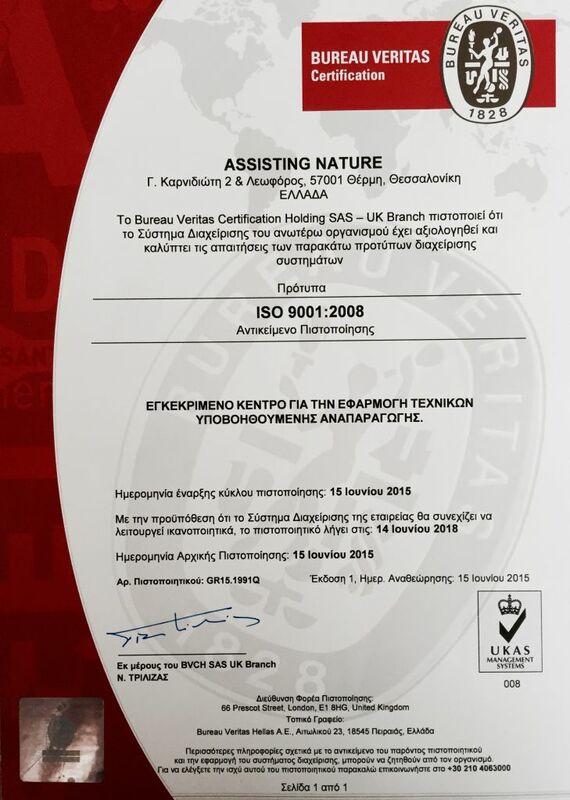 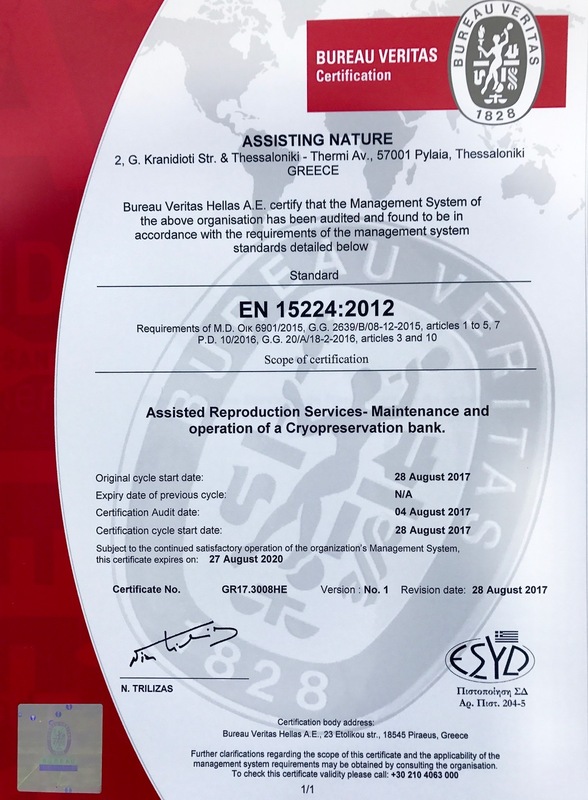 Assisting Nature IVF and Genetics services are provided according to ISO 15224:2014 and 9001:2008 Quality management systems, which ensure that the care we offer is consistently of the highest level. 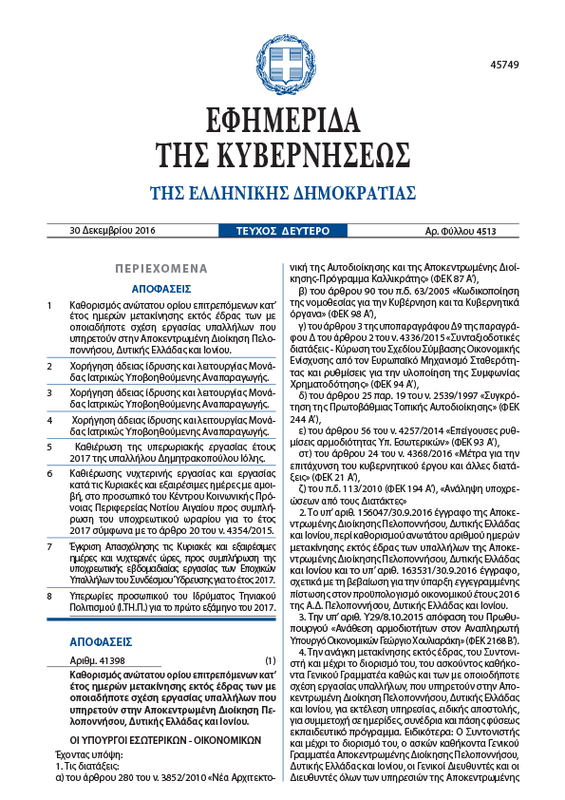 The law governing the Assisted Reproduction framework (1990 as amended in 2008) and the Code of Practice for Ethics (current version) as published by the Greek National Authority of Medical Assisted Reproduction in accordance with European Standards are followed. 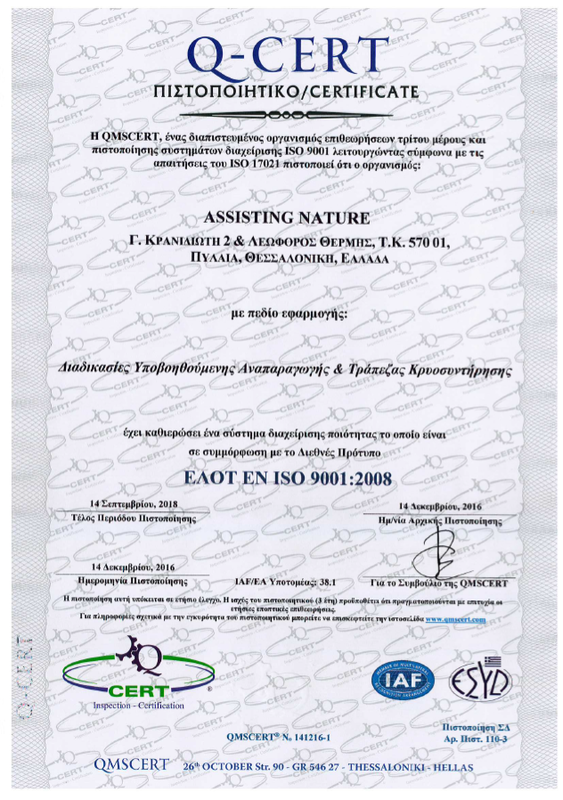 ISO 15224:2014 and ISO 9001:2008 accreditation ensure the high quality of the services provided: medical and laboratory procedures, nursing processes, processing and storage of personal/ medical data, quality supplies, environment quality and adequacy of facilities, security and training of staff. 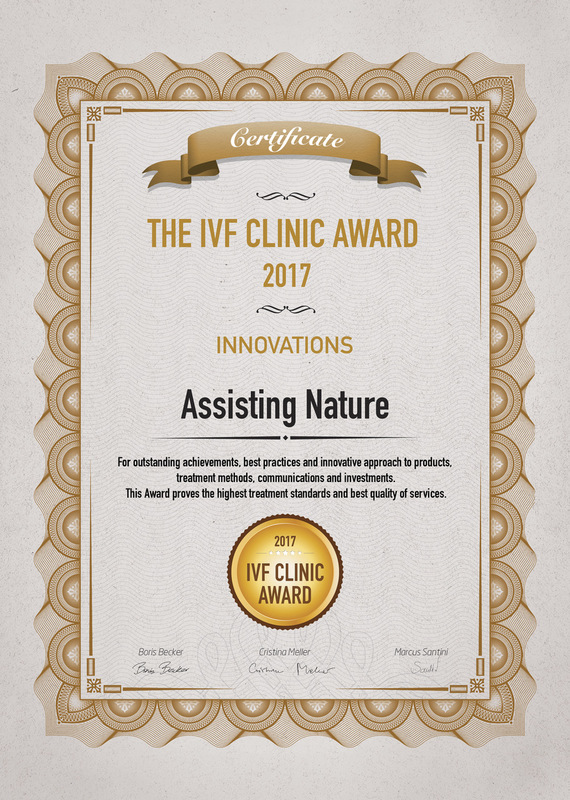 Our primary goal, in Assisting Nature IVF and Genetics, is to provide you with the best medical and clinical embryology services by constantly monitoring and updating our protocols and services in order to achieve the desirable pregnancy and the birth of healthy baby. 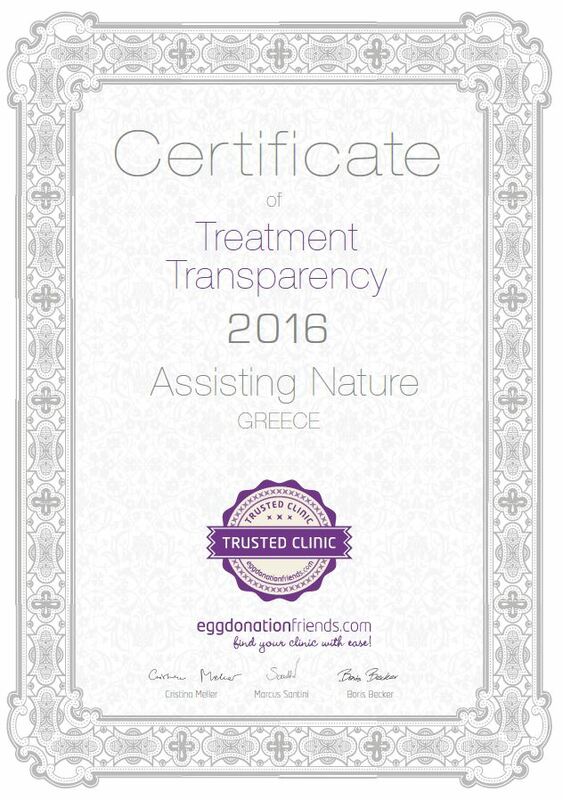 We closely monitor the treatment of our patients and your experience is very important to us in order to improve the quality of our services. 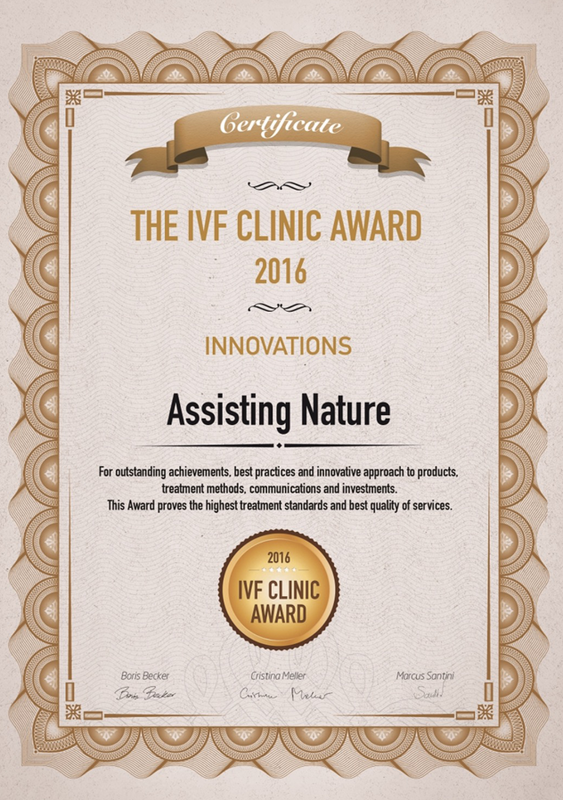 At Assisting Nature IVF and Genetics we understand the personal and sensitive nature of fertility treatment. 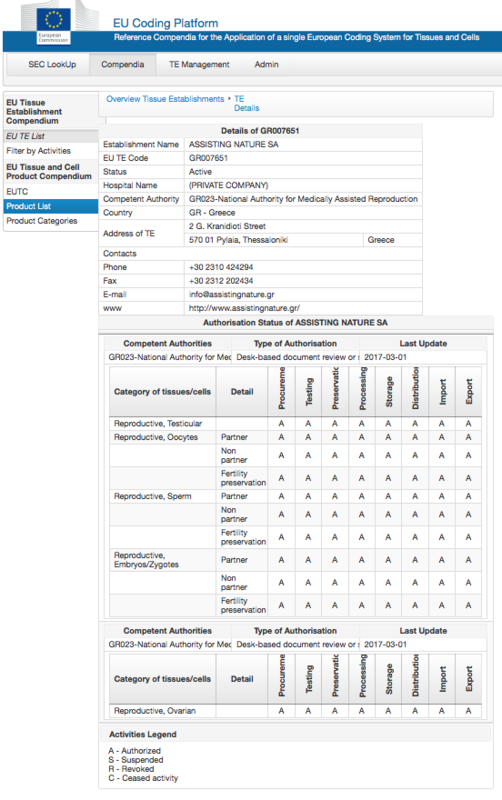 Your privacy is of highly importance to us. 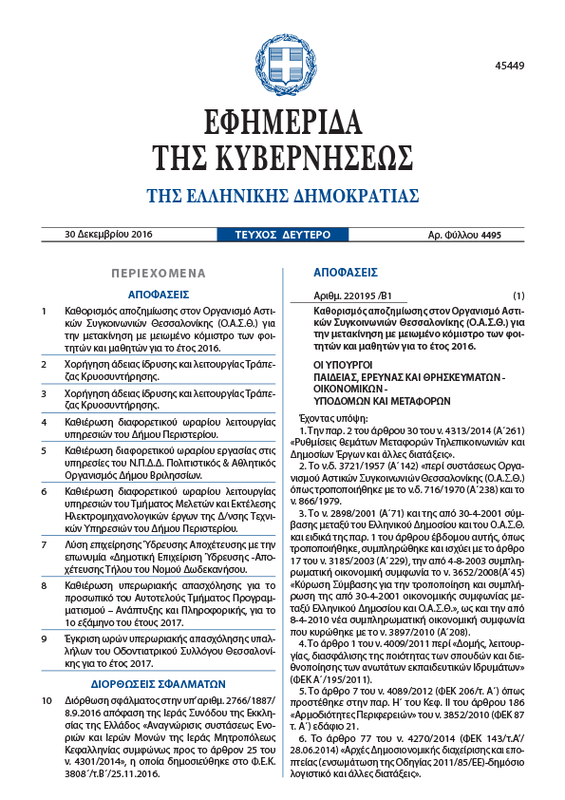 We respect your privacy and we are committed to comply with the applicable law. 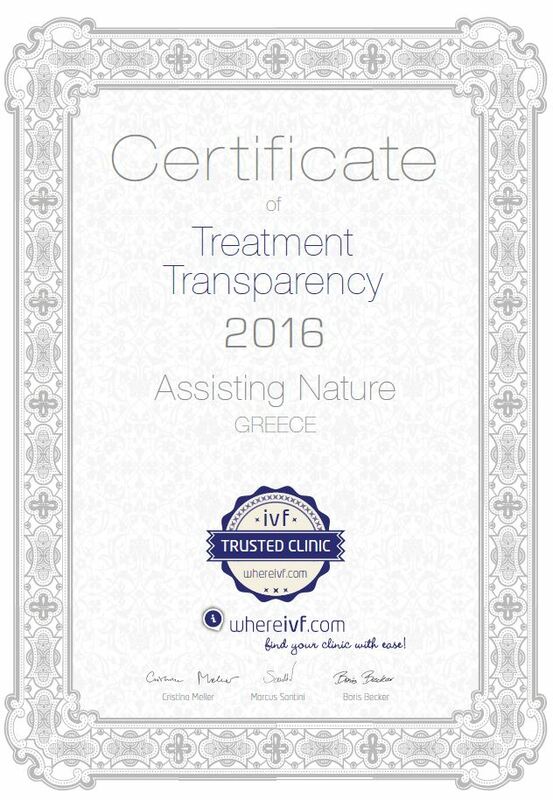 Assisting Nature IVF and Genetics is committed to provide quality services to our patients as well as developing our services by applying all the legal and regulatory requirements that govern its activity.